I encountered a home theater recently using Danley SM-60F loudspeakers for the front and center channels. This is an unusual speaker design with all of the speakers firing into a horn. This is a proprietary design that Danley refers to as a Synergy Horn design. This model in their line provides a 60 degree restricted area of coverage along with very high efficiency. The SM-60F uses two 8″ woofers and a 5″ driver with a coaxial compression driver tweeter. 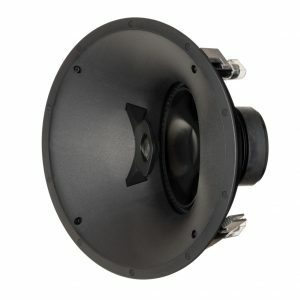 The combination of speakers and enclosure provide a very efficient 99db at 1 meter with 2.83V input. They also can handle 800 watts of continuous power and 3200 watts peak power. 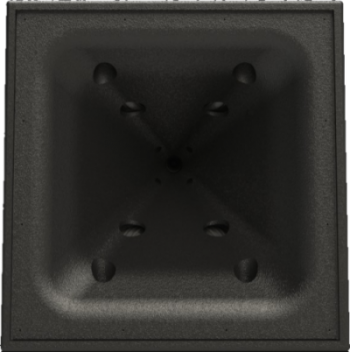 This is an amazing level of sound output capability providing up to 125db continuous sound output. The speakers also measured relatively flat in frequency response, but no where near the best speakers I have measured. 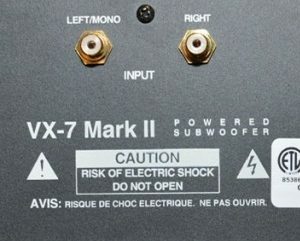 The bass extension was reasonable for using in a bass managed system with a lower usable limit of about 70Hz. Positioning these speakers is not normal. The left and right channels need to be angled past the center seat to provide adequate coverage. This is caused by the horn directing the sound in a limited cone pattern that increases efficiency and reduces the impact of poor room acoustics on sound quality. My listening observations were that this speaker can easily handle the sound level requirements (105db per channel) for a reference home theater of moderate size when supplied with sufficient power. The efficiency of these makes this task much easier than most other speakers. At $5,500 a pair my expectations for sound quality are high. What I did not like about these was the effect of the horn configuration on the sound. The midrange sounded a little like you where listening to sound through a megaphone or you had your hands cupped together to project your voice for dialog. This may be the result of high order modes discussed in this document by Dr. Geddess who employs a different horn configuration and a foam plug to reduce this effect. I much prefer the sound of Seaton Catalyst 8C or the 12C in this price range for theatrical use. 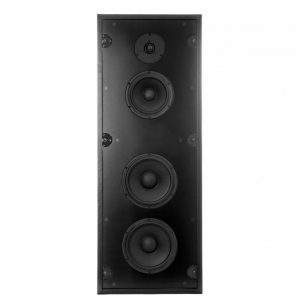 The Seaton Catalyst has similar drivers and exceptional efficiency and also includes three amplifiers in each speaker. I also find the sound coverage provided by the Seaton’s to be superior to this Danley product for home theater use. This design would be beneficial if you needed the limited coverage provided by the horns to deal with poor room acoustics or the very high sound pressure levels that they can deliver. I noticed the same midrange coloration on voices in a nice system with a well-treated room. What surprised me more was that this was audible after Trinnov room correction. Does that suggest it’s not just a response error but some sort of decaying resonance that EQ cannot correct? EQ does not solve problems like this. Dr. Geddes refractive sound plug does a nice job of eliminating the higher order modes caused by horn designs. Here is a link to a paper that discusses this to some extent. http://www.gedlee.com/Papers/Philosophy.pdf Gedlee speakers incorporate these plugs and sound excellent.